Grandpa always said he’d rather be lucky than good, but on opening day of the New York firearms deer season, I was a little of both. Rewind one week to Nov. 13 when my hunting pal, John Koska, and I were hunting my family’s property in Livingston County. After a short while John gave me a call and said he watched the buck breed the hot doe and then work past the treestand with the doe at about 25 yards. John said the doe trotted through the shooting lane and that the buck had followed. Not feeling comfortable trying to squeeze a Carbon Express arrow through the young saplings, he elected to pass the questionable shot. You have to respect that. My question to him was “where did the buck go?” He answered “west,” and that gave me an idea. I had a treestand at the bottom of the hill where the buck seemed to be working towards and with the doe in heat I was confident he wouldn’t go far. So, I packed my gear, climbed down from my stand and hiked to the truck. From there I drove around the block where I planned on entering the same block of timber, but from the west side. It’s probably about 9:30 a.m. or so at this point. I eased up the hill and reached the stand. Once settled, I could see a flurry of activity up the hill and it wasn’t long before several does worked by. I then caught a flash of something running and knew that mature buck was exactly where I anticipated he’d be. This meant two things: First, I’d positioned myself so the shooter was now in between John and me; and Second, I was now in a position to try and kill him. With the help of my 10x42s I could see the brute laying into a tree about 90 yards away. I watched for a few minutes and examined him. “Man, he’s got cool-looking bladed main beams,” I thought. I decided to grunt – all while watching him through my binos. He didn’t react, so I became more aggressive with a snort wheeze. At this point I realized it wasn’t meant to be. There is no replacement for love and this bad boy was in it. At 12:30 p.m. I called it quits, as my son’s birthday party was the next day and I had to tend to some household chores. With that, I hung up the Bowtech for another year and headed to work for the week, waiting for the following Saturday – the opening of firearms season – to roll around. John and I talked and decided that the “Great 8” had leapfrogged his way to the top of the hit list. On opening morning, I was carrying my Remington 1100 Special 20 gauge and entered the woods just hoping that I’d have a chance at the buck – or at least a mature buck. The morning hours came and went with many shots fired, but none from inside the perimeters of our property. I backed out for lunch and John, my Dad and I discussed the afternoon hunt. After a sandwich, we were back at it. I reached the stand around 2 p.m. and settled in. Shortly after, a doe and yearling worked by. From there it gets a little blurry, because I dozed off in the stand. What? You’ve never done that? Whatever…! Okay, after my cat nap I awoke to a much calmer woods. The wind, which had been stiff out of the west, had faded and the conditions had improved. I sat and texted back and forth with John as he was hunting a stand in the middle of our property. It wasn’t long after that I caught movement to my right. Guess who? At 85 yards I struggled to find a clear lane to squeeze a Berennke through. That is until he stopped to work a scrape. I steadied my recticle on him and fired. The deer whirled, ran 10 feet and stopped. Bang. I fired again. 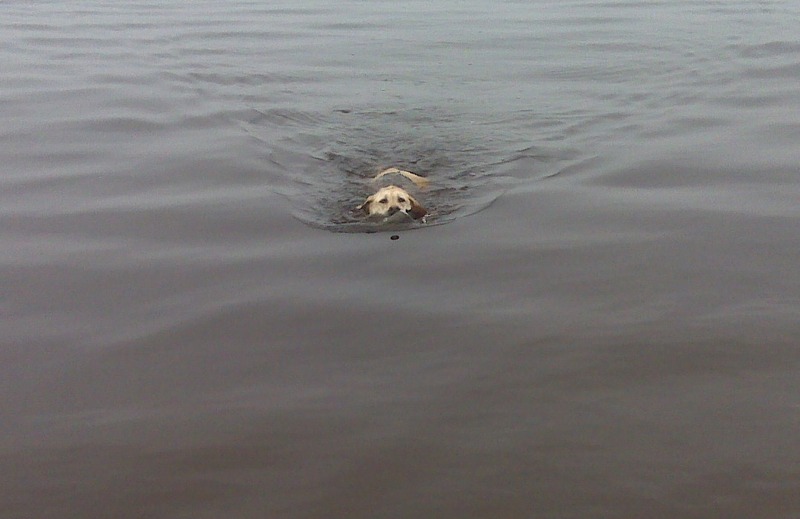 This time, he went on a dead run through the woods, but angling towards me and closing the distance. I knew the second shot had hit him, but I wasn’t sure where. I begged him to stop. And at 60 yards my recent string of bad luck ended as he applied the brakes. Bang. I shot a third time and with that he disappeared over the nearby gully. So, you’d rather be lucky than good? Grandpa was right! Me too. That third shot had found its mark and entered his front shoulder. I waited awhile and eased my way along the edge of the gully. What I saw at the bottom of the gully was the end of a lengthy, season-long quest. The “Great 8” was down! I stood at the top of the bank for 10 minutes or so collecting my thoughts before descending down to put my hands on him. I couldn’t believe it had happened. I called John and told him the news. He was pumped and made his way over for the celebration. Now my problem was talking my wife into another taxidermy bill. It’s like Dierks Bentley sings: Man what was I thinking? It wasn’t a promising start. 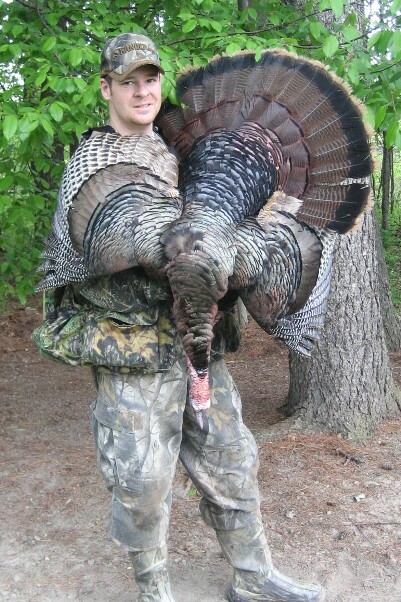 May 1, 2010 had come and gone without a single gobble on our 140 acres in Upstate New York. Heading into the spring turkey season, my hopes were extremely high. I had seen multiple birds on a nightly basis during the fall archery season, and was even fortunate enough to harvest my first turkey with an arrow on our Livingston County property. I didn’t have a good feeling about my dismal opening day, but if there was one encouraging fact, it was that I had only heard one shotgun blast echo down the valley during that calm Saturday morning. Convinced that other hunters had experienced similar fates, I shrugged it off and headed home thinking that most toms had already found dancing partners for the spring prom. When Sunday morning rolled around, I didn’t. I spent the morning with my wife and two young children, who I miss on most Sundays because of work obligations. Monday brought a new week and new hope for me, but because of daddy duties, I wasn’t in the woods that morning either. Nine o’clock came and that meant time to get my 5-year old off to school. We were two miles from the house and I happened to glance over, and there in a green field, was a strutting tom and at least one hen. I really didn’t think much about it, as my 2-year old was in the back seat and intent on spending the day with daddy. That all changed though when I drove back by and saw Mr. Handsome still struttin’ his stuff. I couldn’t stand it anymore – I felt like a pot of cold water on a hot stove and I knew a pursuit would ensue. Thinking quickly, I called our daycare provider to see if she could look after my little guy for a few hours. By the time I dropped him off, I had roughly two hours of shooting time left, as high noon marks the end of shooting hours for turkey hunting in New York. Knowing the farmer whose field the bird was in, I stopped at the house to ask permission. He obliged and I was on my way. My plan at this point was to get close enough to the bird and try to draw him away from his hen(s) by placing my decoy in a neighboring cut cornfield. With a hedgerow separating me from him, I walked as far as I dared and set up on the edge of a woodlot. With my hen decoy bobbing in the west wind, I took a deep breath and then let out a yelp from my Primos diaphragm call. I waited, thinking the hot bird would for sure see the decoy and come in. But, that was far from what happened. Thinking that the strong winds may be preventing the long beard from hearing me, I took out my slate call and gave a few strikes on it. Still nothing. With time not on my side, I made a hasty decision to try and make something happen. Knowing that this would be my make-or-break move, I abandoned my decoy and slowly dropped back into the woods. My hope was that I would somehow be able to gain ground on the bird while using the trees as cover. I forced myself to move slowly as I feared a snapping twig would alert the bird and it would be game over. I thought it was over, for sure. My thinking was that the birds had moved south prior to my arrival, however a glance through my Bushnell 10X42 binoculars proved my theory wrong. There in the green field about 80 yards east of the hedgerow was a red head. I couldn’t believe it, not only had the bird not detected me, but he was still there. With very little separating me from him, I needed to get behind a tree or something to ensure my presence wasn’t detected. I dropped to my knees and began to crawl down the west side of the hedgerow – using it as a buffer. I had a tree in mind that I hoped to make it to. From there I would set up and call – and for sure the bird would be able to hear me. I made it. Tucking myself behind the mature walnut, I slowly reached for my favorite slate call. Little did I know, it had fallen during my approach. I was forced to try and catch my breath for a minute and again using my mouth call, I let out a series of yelps, except this time I was watching his reaction through my Binos. I couldn’t believe it; he turned his head and just sat there looking around. I let out another more aggressive call. Nothing. He wouldn’t budge. I knew he could hear me, because every time I called, he looked my direction. No gobble, no strut, no nothing. With my bag of tricks empty and my decoy left behind, I questioned my next move. He’s about 60 yards from me at this point. I gave a few more calls, to no avail. With my watch now reading 11:15 a.m., I had few options but to force the issue. Slowly rolling onto my side I began to belly crawl towards the green field and the bird. I had pulled this trick off before some 15 years ago, but that time on a wounded whitetail. This time, I was dealing with an animal whose main defense was his eyes, and here I was out in the middle of a wide open field. For sure he would see me. But I had little options. By the time I reached the green field, my arms began to burn, but my confidence grew. As I entered a little swale in the field, I picked out a yellow weed in the clover, knowing that if I could make it to that point, my Harrington and Richardson single shot could do the rest. I had reached the yellow weed without being detected, and in one smooth motion, I cocked the hammer on the 3-inch mag, came to rest on my knees and steadied my truglo sight on the red head. A swift squeeze of the trigger and the bird went down flopping. I ran up on him not believing I had pulled off the best spot-and-stalk of my life. The bird weighed 21 lbs. with a 9-inch beard and 1-inch spurs. 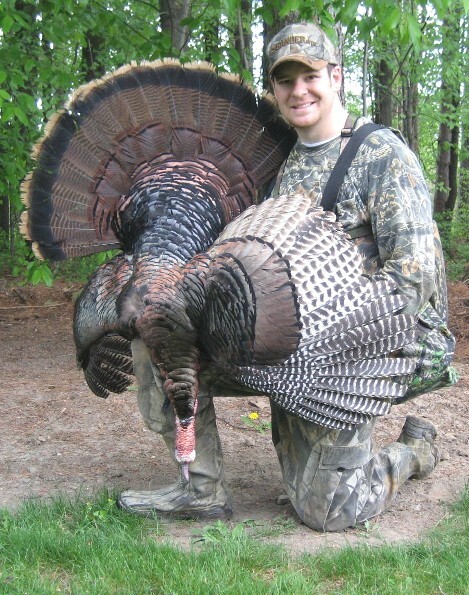 Not my biggest bird to date, but quite possibly my best trophy – or at least the most memorable one. I hoisted the long beard over my back and headed home. It was about that time that I realized I had had crawled through a large patch of poison ivy along the way! These hunters had been after it for the better part of six hours when Brody, the 10-year-old hunter of honor, revealed his game plan for trying to get his grandpa to get him a turkey gun for his 11th birthday in a few weeks. He said he couldn’t wait to go turkey hunting again. This day’s hunt was a success! Brody was the hunter. And I was his mentor, which is a nice way to say that all the pressure was on me to make sure he had fun during the Fort Bragg QDMA Annual Youth Turkey Hunt. 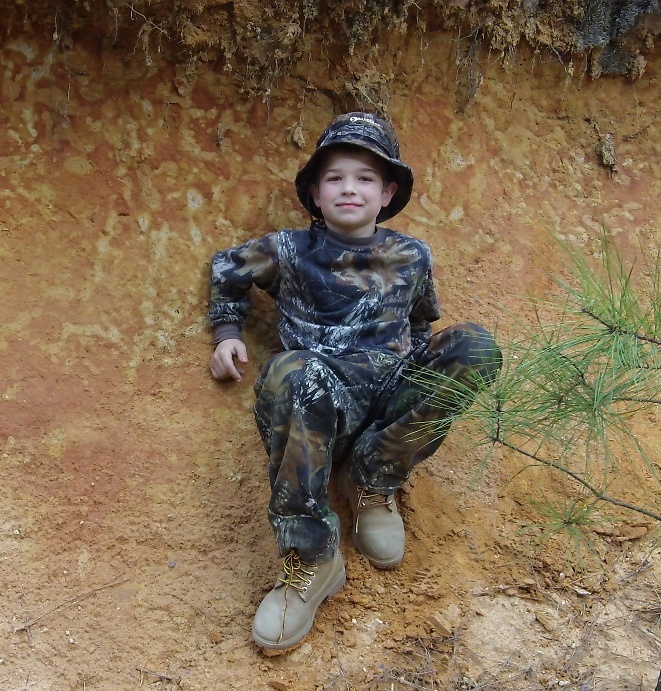 The hunt, it its third year, is a great program that pairs the kids of military soldiers with turkey hunters to hunt Fort Bragg’s 251 square miles during North Carolina’s Youth Day. Brody shows his shooting form! 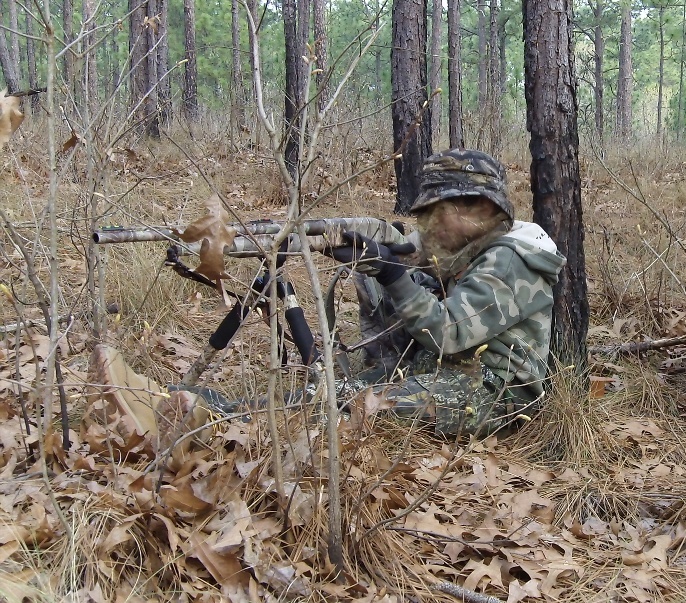 Each hunter and mentor are teamed with a chaperone who is familiar with Fort Bragg’s terrain – a sort of human version of a GPS that proved quite useful. The morning got started with all teams meeting for a safety / informational session at 4 a.m. This meant a 12:30 a.m. wake up call for my hunting buddy Chris and me to make sure we were on base in time. Upon talking with a couple mentors who had scouted the area Brody would be hunting, it sounded as though our chances of communicating with Tom Turkey were pretty high. So too was the pressure for me to give Brodie some good turkey-hunting memories. We were able to hear a few gobbles off the roost shortly after first light. Sadly, they were all several hundred yards from our initial setup. We needed to move quickly. Three setups and two hours later, we started a series of calls off the edge of a narrow LZ (that’s “landing zone” in Fort Bragg speak!). Two minutes into the set, a gobble some 100 yards away sets the woods to life. One problem, though. It was 180 degrees from where we were facing. We quickly swiveled around. Two more gobbles indicated the bird was coming our way, and coming in a hurry. I caught a glimpse of the bird – check that, two birds – crossing an opening 50 yards or so away. The first of the two Toms crested the small ridge ahead of us – some 25 yards away – and was looking for a hen. Our decoy was roughly 20 yards behind is at this point and I was hoping his eyes would catch the decoy before they caught us. The lead bird moved to within 20 yards of our spread. The second bird was not quite as interested in spending a lot of time looking for this hen. He was starting to feel a little antsy and decided to walk the opposite direction. It was time for the shot. It didn’t happen, and that’s okay. Amidst the excitement of the turkeys coming so close, Brody froze! He admitted later that he couldn’t have truly froze because he was “shaking really bad.” It was an adrenaline rush for all of us, but especially for Brody. His first turkey hunt and he had two long beards within range! I felt the pressure come off my back a little bit. Following a fantastic lunch for the group of hunters, we headed back to the woods for a few hours of trying to get a turkey to answer us. We decided to call it a day after a few more hours. 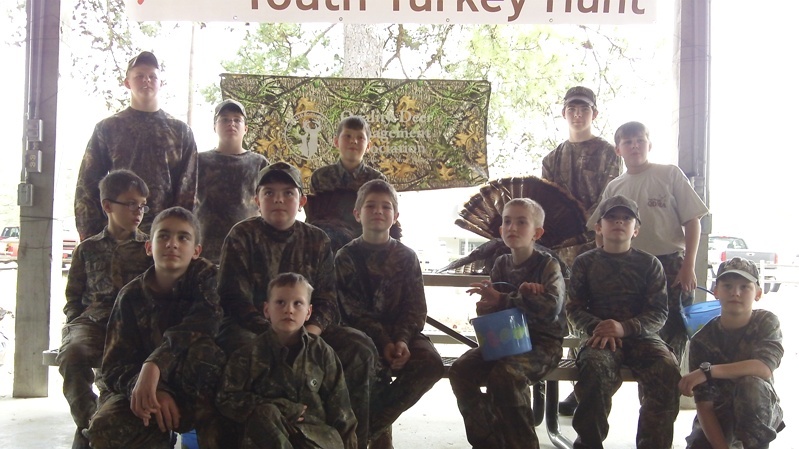 With 13 hunters bagging three turkeys, the Youth Day at Fort Bragg was considered a success. Brody said he wants to go turkey hunting again ... soon! The bag total wasn’t the lone indicator for it being a good day. Also part of the measurement were the smiles and laughs presented by the young hunters throughout the day. For the record: In addition to the Youth Hunt, Fort Bragg QDMA facilitates a Wounded Warrior turkey hunt the second Saturday of the general season. The organization also sets up deer hunts for youth and Wounded Warriors each fall. It’s able to do each of these with the support of a lot of donors and volunteers. While this was my first time participating, I look forward to helping again. As my buddy John tells it, my eyes got real big! We were hunting Pamlico Sound and were probably getting much closer to picking up our decoys than we were to the start of our hunt. As hunters do, we started to relax from the ever-ready stance and glance of searching the sky for birds headed our direction. The fog was starting to roll into the Sound and the morning’s rain seemed to provide its last spitter upon these early risers. Sage and I were on the bow of John’s boat – making no added effort to conceal ourselves into the covered blind area. Our hunting spot that morning was some 20 yards to our left, but a lull in activity led to a chat with the fellas. My Benelli was leaning against the frame of the blind and the only thing being shot at the moment was bull. Sage waits on ducks at the front of John's boat. I was standing next to her when the Redhead dropped from the sky. I first caught movement when the bird was fully cupped and dropping like a 10 lb. weight over our decoys – a familiar site for anyone that regularly hunts divers. That’s when my eyes got real big! John, who had just cracked a cola and was as relaxed as the rest of us, knew there was a bird over the spread. My eyes said that loud and clear. I yelled “Holy (somethingorother)” and threw up the Benelli as fast as my arms could. I snapped a shot off – not sure I was aiming in the right direction. The bird fell. “That’s a beautiful redhead,” John shouted. Sage had the bird in her mouth and was returning to the boat shortly thereafter. The duck was one of two birds that will make its way on my game room wall from this trip. 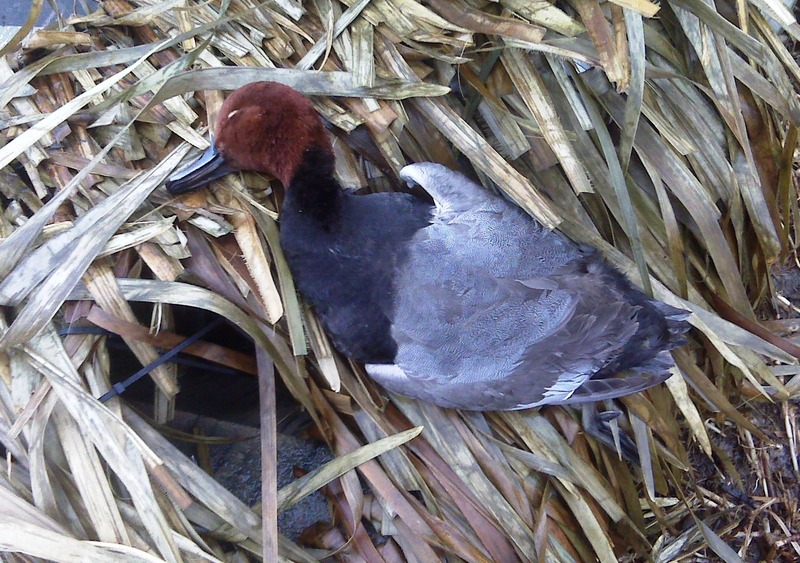 Also shot was the prettiest American Widgeon ever taken by your faithful blogger. For some odd reason, I did not take a lot of photos of either bird, which is quite a bit out of my norm. I’m hoping to get at least one more duck hunt in this year to call it the 2009-2010 season. Because we did not get drawn for our Georgia hog hunt, it looks like the next time afield to chase wild game will be with the Spring Turkey season. Don’t get me wrong. I really do enjoy the annual pilgrimage – Griswold style – to Ohio around the holidays to visit my in-laws. They’re good people and it’s nice to catch up with our extended family. And I generally like the state of Ohio. But the last decade of December’s trips across the Ohio River carried with them the added anticipation of hitting the deer woods for the state’s muzzleloader season. And deer hunting in Ohio is always worth getting excited about. 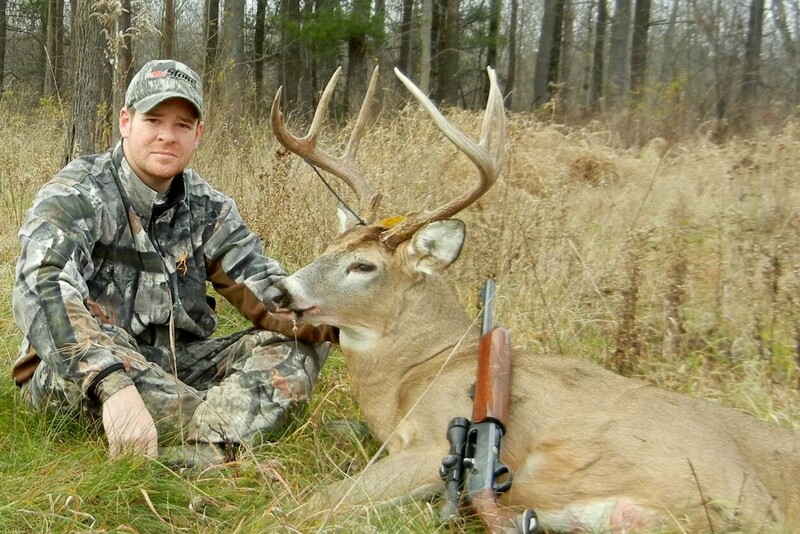 Ohio’s Wildlife Council voted in early 2009 to change the muzzleloader season to Jan. 9-12, 2010 (which, by the way, means that the 2009 calendar year did not truly have a muzzleloader season), making it the first year in many that I will not be chasing the whitetail in the buckeye state. And I’m bummed about it. There’ll be no chance to take to the field with my brother-in-law, normally our only chance to share a few hunts together all year. The state’s extra weekend of hunting has seemed to work out to help the state meet its desired hunter harvest, but I’m anxious to see if the move to January will indeed pay dividends. One of those metrics for success surely is revenue from license sales and my gut tells me that this move will not help in this area. 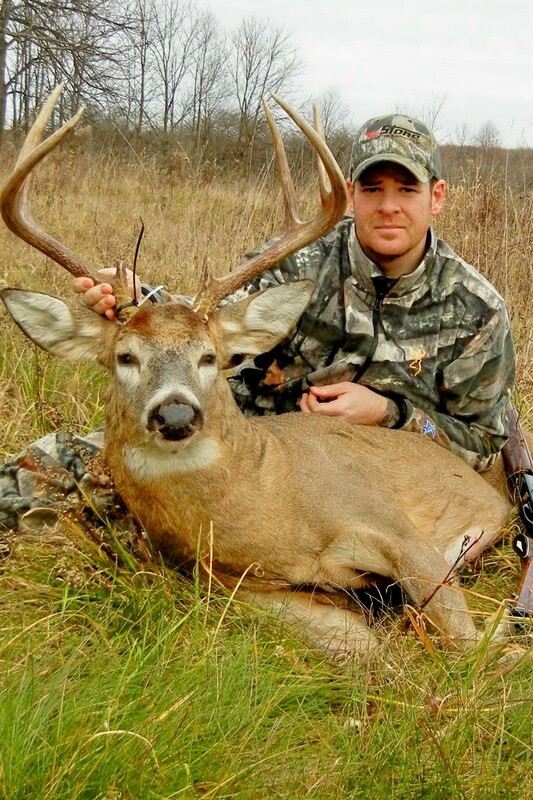 I am among the many out-of-state hunters that have forked over the $164 (the 2009 fee) to hunt in Ohio. I will not be making the purchase this year only because my schedule doesn’t jive with the state’s regulations. To the state’s defense, I could purchase my license to hunt with my bow in tow, but the investment becomes greater when facing only three days to hunt and very little pressure forcing the deer out of their nocturnal ways (especially on the heels of the state’s shotgun season). I can’t be alone. The January muzzleloader season might do some help in getting the state’s resident hunters into the woods a few extra days, the out-of-staters coming into the state for the holidays are less likely to return in January for a three-day season. That is purely my assumption at this point, but the post-season numbers should tell us the facts. With a couple of out-of-state trips planned for hunting in 2010, my goal is to find a way to get back in the Ohio deer woods in some capacity. Perhaps it will be an extended weekend trip during the rut or something of that nature. Regardless, this year’s trip back for the holidays is going to miss a little something. As the 2009 New York gun season approaches this Saturday, I’m reminded of how my excitement for that first day has changed throughout the years. During my elementary school years, it took everything I could to make it through the school day (the season opened then on a Monday) in order to race home and check with my mom if she had heard from my father. On more occasions than not, my dad had taken a buck on that first day – a feat I couldn’t wait to get to school the next day to brag to my classmate and early hunting nemesis (and later hunting comrade) Andrew Harris. Shortly thereafter, my opening day anticipation changed to checking on the success of both my dad and oldest brother, Mike. It was about this time, that I looked very much forward to Thanksgiving and the first Saturday as those were days that my dad usually let me tote along as bystander of the hunt. After his rookie season, Mike also decided to allow his little brother to tag along with him in the woods. 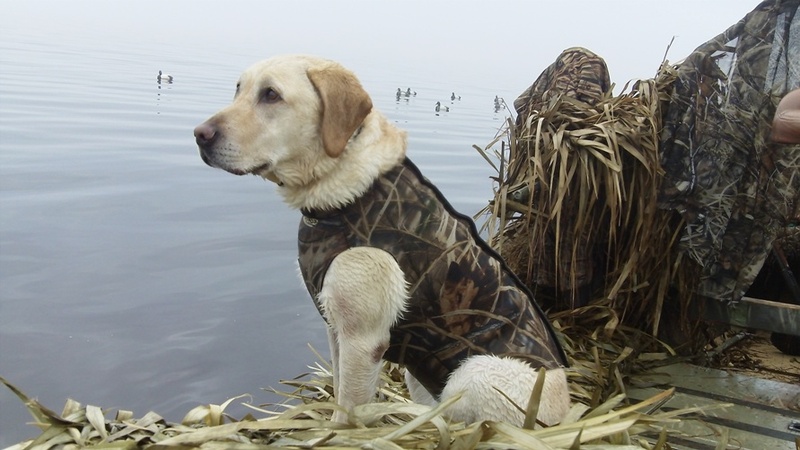 It was many of those initial trips with him that set the foundation for my hunting future. My middle brother, Doug, would start hunting a couple years after Mike and the three of us would start sharing the woods togehter. Because you needed to be 16 to hunt Big Game with a gun in New York, my early teen years focused very much on the archery season. Having a leg up on taking a deer made it much easier to sit among the older hunters at the poker table in deer camp. During these years, I got to tag along, but toting a shotgun had to wait. The Ithaca Deerslayer was the gun targeted to join my first hunt! I was shocked beyond belief when the new shotgun was in the leg of my new hunting suit (where I stored the trusty Ithaca) upon arrival at deer camp. A few Remington Sluggers out of the barrel and I was ready to roll. My primary focus on the gun opener in those early years was laser targeted on success. While my brothers, uncles, cousins, etc. all relished in the camaraderie that came with deer camp, my priority was on making sure I did everything I could to take a deer. It’s amazing how a few years and a notch or two in that leather sling will change that perspective. I’m fortunate in that I spend many hours a year with a bow in tow to get my ultimate deer hunting fix. And I still enjoy taking to the woods with a gun. But the primary reason of anticipation for the gun season now is the opportunity to catch up with family and friends, share stories about the buck that got away or the IOUs written on napkins from poker games past. That is what the gun opener is about.